Last week we gave our STRIVE awards to the outstanding students of Kettering Fairmont High School. See ALL the photos in the STRIVE 2012 Photo album to the right. 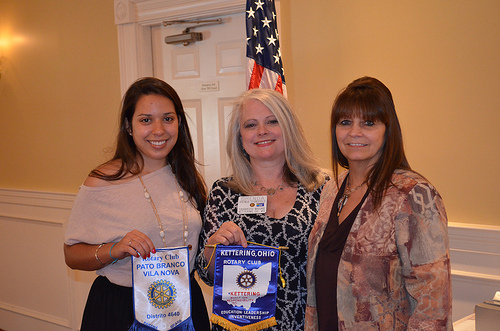 We also had a visiting Rotarian from the Xenia club with their exchange student from Brazil. Thank you to all the STRIVE mentors and to Marilynne for chairing the awards and program. Great job!